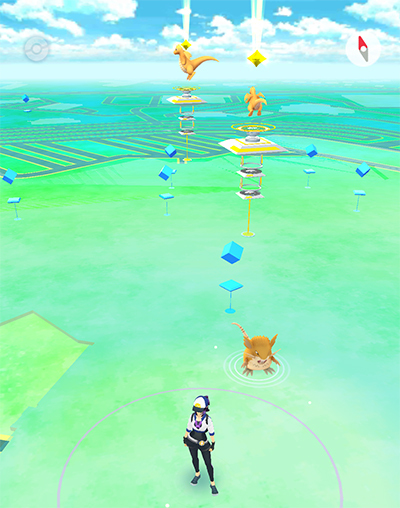 Catching Pokémon at the national park or the zoo is always a good idea. Luckily, we found an easy solution here at Valley Forge, other than an umbrella. When the weather is less than ideal, but you still gotta catch &apos;em all, head to the malls. 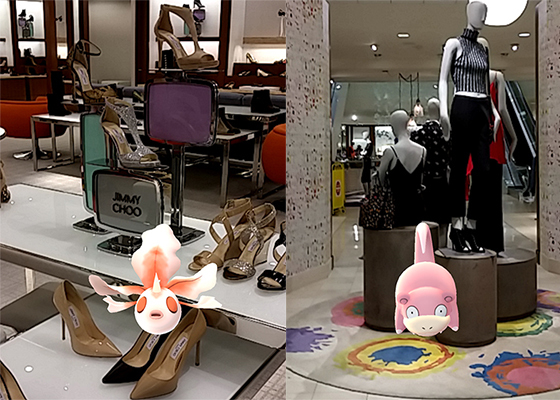 With over two million square feet of indoor egg-hatching retail space (and an expansion coming soon), the King of Prussia Mall is a no-brainer for PokéMontco trainers. On a muggy Tuesday morning, I was grateful to be mall-walking (sadly I forgot my velour tracksuit). My first stop of the day was Nordstrom&apos;s. Not necessarily a strategic decision, it was simply where I parked. 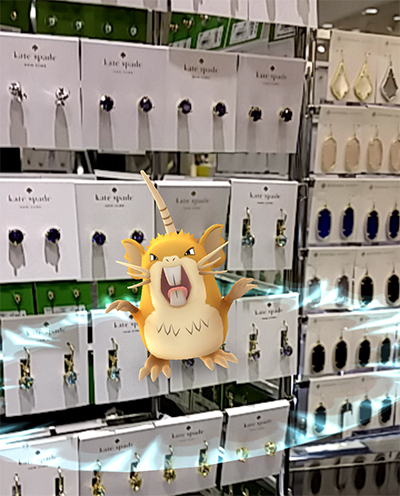 As I perused the Pokémon and the jewelry, a Raticate informed me that Kate Spade earrings were on sale. I continued my Pokémall tour walking the long corridors lined with high-end storefronts and beautiful boutiques. I meandered through maze-like department stores, from Macy&apos;s to Neiman Marcus. 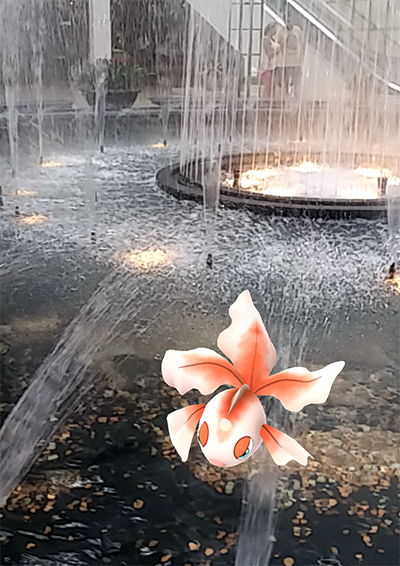 The KOP mall has a handful of Pokéstops featuring art installations from the tile mosaics to the Victoria&apos;s Secret PINK dog. My personal favorite is "Suddenly Unicorn!" which I encourage you to seek out. If you&apos;re feeling competitive, there is a Gym at the mall fountain and another just outside the building. A third Gym is within reach of the Cheesecake Factory. The Gyms here appear cutthroat, as I witnessed the icons change from yellow to blue to red within the short time I spent at KOP. Long gone are the Pigeots and even Vaporeons spearheading Gyms (the latest Pokémon Go patch balanced the water Eevee-lution&apos;s overpowered stats). As I left the mall, a duo of Dragonite swooped in to paint KOP yellow. Following my stint at King of Prussia, I took a short drive to the Plymouth Meeting Mall. My lunch for the day? Boasting Philadelphia&apos;s largest Whole Foods Market and Cafe (including the Blue Route Taco Truck), the Plymouth Meeting Mall does not disappoint. Case and point: these tacos. 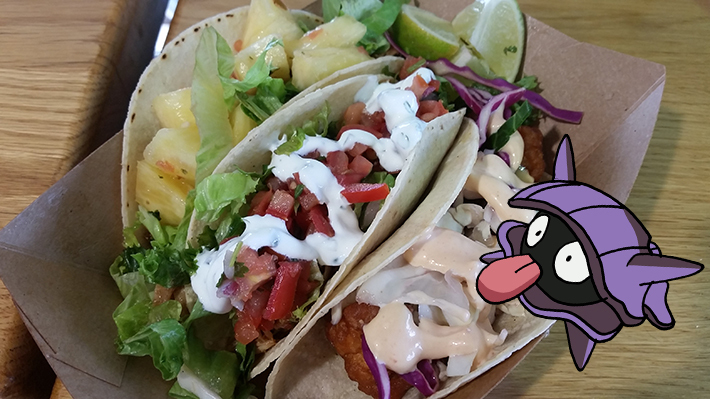 Still dreaming about tacos, I continued my Pokémon Go journey to Charming Charlie&apos;s, an adorable boutique for budget-friendly accessories. The color-coded jewelry paradise had a few more gems than usual: a wild Staryu appeared! 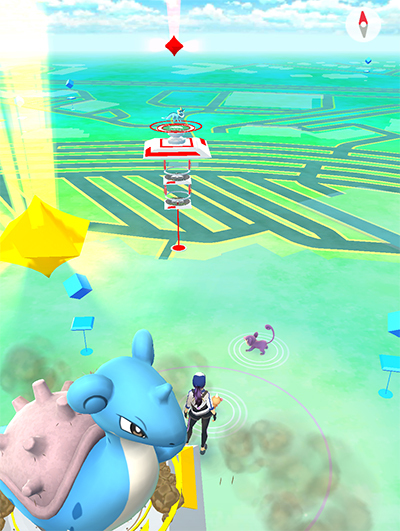 The Plymouth Meeting Mall has a Gym at the fountain, as well as one in the parking lot, and a Pokéstop at the carousel. 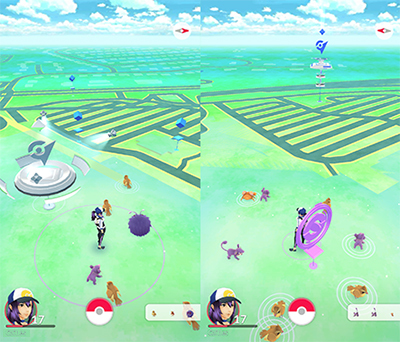 A few other Pokéstops are scattered outside the mall. What the mall lacks in Pokéstops, it makes up for in Pokémon density. The spawn rate here is insane. If you&apos;re in the mood to catch and you have a bag full of Pokéballs, then you&apos;re going to have a field day at the Plymouth Meeting Mall. I attempted to add my Flareon to the gym at the fountain, but someone sneaky added their own Pokémon just after I raised the prestige. Please don&apos;t be that guy. Anyway, the malls are perfect indoor locations for playing Pokémon Go on a rainy day (or any day that ends in &apos;y&apos;). Happy hunting, and stay safe Trainers! 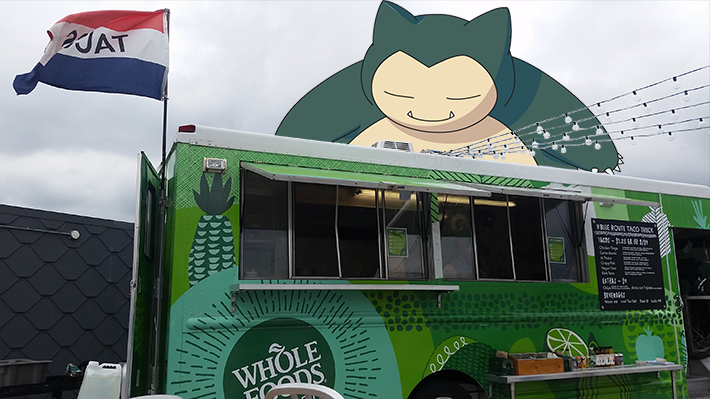 Use #PokeMontco to share your journey to becoming the very best in Montgomery County! Caitlin Hoppel is the Valley Forge Tourism & Convention Board's Digital Marketing Intern and resident Pokemon expert. 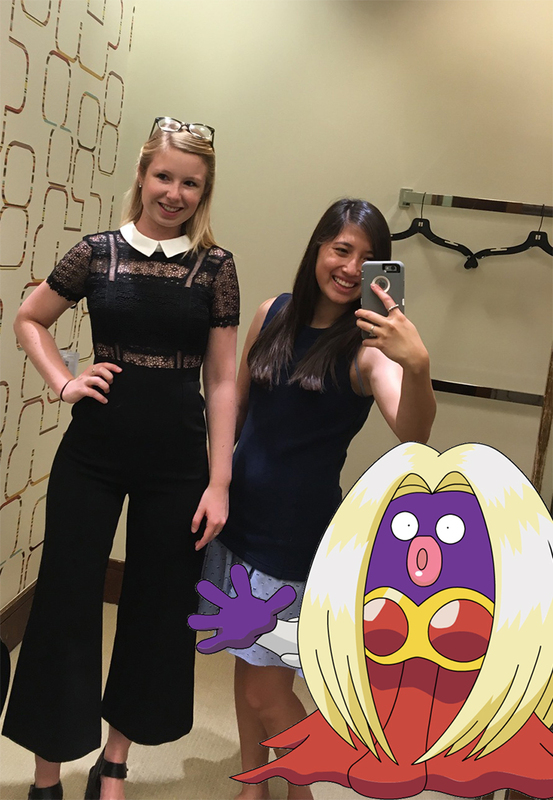 Her quest is to catch 'em all in Montgomery County.